The signature event of Parktacular is the Grand Day Parade. The parade became a staple of summer in St. Louis Park even before the celebration was named Parktacular. Year after year, curbs are covered with blankets and boulevards are lined with chairs to watch. 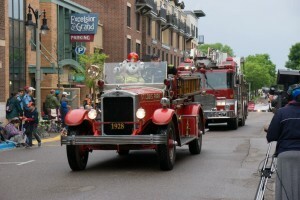 The Grand Day Parade takes place rain or shine and is one of Parktacular’s most popular events. Absolutely no throwing of any items from a parade unit. Walkers may distribute candy, coupons, flyers, stickers, or other items while at the curbside. No standstill performances will be allowed. St. Louis Park Parktacular requires proof of liability insurance before a motorized vehicle may be allowed in the parade. Any unit without such information will be pulled from the event. Please send via email or mail (3700 Monterey Drive, St. Louis Park, MN 55416) your current insurance information. Every participant must sign a 2018 Ptac Parade Waiver and send via email or mail (3700 Monterey Drive, St. Louis Park, MN 55416). A representative of your unit may sign a single waiver on behalf of your group. Consumption of alcohol during the reception, line-up, parade, or take-down is strictly forbidden. All vehicles not in the parade MUST LEAVE the line-up area after dropping off individuals or after setting up floats. 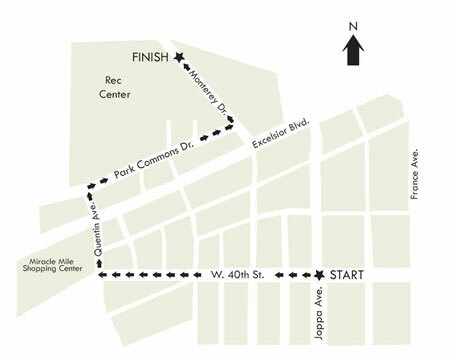 Please make driving arrangements in advance of parade day. At parade end, all floats/units must exit the parade route down Beltline Blvd as far north as possible for take-down, away from the intersection at Monterey. Each business/politician/candidate pays $100 to participate. There will be no charge for non-profits and visiting ambassadors. Your payment must be included with your application to make it complete. All animal units will be responsible to clean-up after their animals. Please complete and mail in the PDF to apply. Applications are not complete until signed waiver, proof of insurance and payment is received.